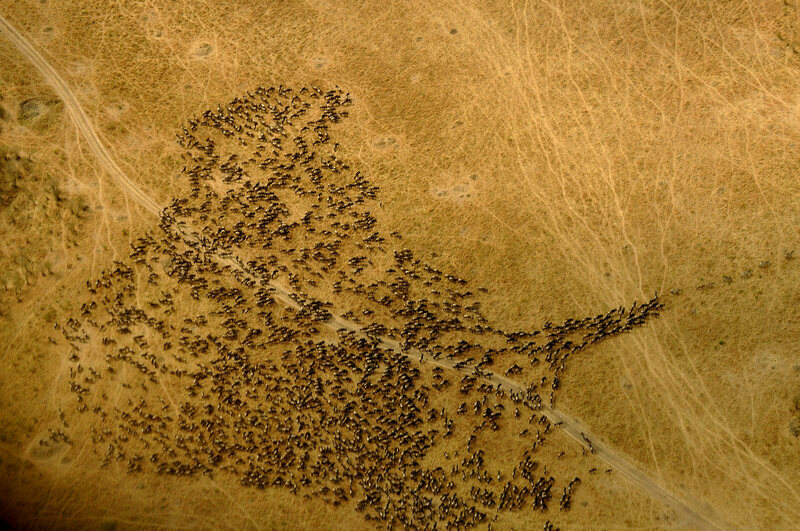 Imagine you're flying far above the Mara Serengeti, looking down. You'd see a dry, brown landscape dotted with trees. You'd see trails and roads. And every once in a while, you'd also see an large, open area, flush with green grass, like those pictured above. What are those peaceful-looking spots? And why do they look so different from everything else around? Researchers think they have the answer: ancient cow poop. When Neolithic herders migrated to the area a few thousand years ago, they would corral their livestock in these areas during the night after letting them graze all day. For a recent study, a group of scholars took soil samples from five of these verdant spots in Kenya, and found that beneficial soil elements like phosphorus, magnesium, nitrogen, and calcium are much more prevalent there than in the surrounding areas. This process was kickstarted by the dung heaps the sheep, goats, and cows left behind. "The positive impacts of increased soil fertility… can last for thousands of years," Fiona Marshall, a coauthor on the study, told Eurekalert. How does this happen? Other studies, on how contemporary pastoralism affects these areas, shed some light. It begins with the livestock themselves, which work like nutrient concentration machines. As they graze, they ingest nutrients from plants spread over a wide area. Then at night, when they're herded into corrals for protection, they excrete some of those nutrients back out in one big heap. With the help of these nutrients, grass begins to grow, outcompeting the woody vegetation that might otherwise be there. 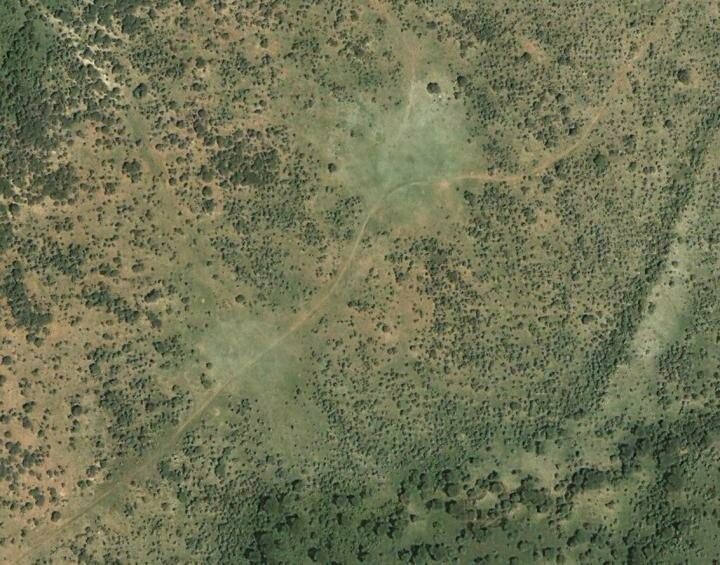 The grass attracts grazing animals including gazelles and wildebeests, who also eat and excrete there, creating a self-reinforcing, grass-dung-grass cycle. One study found that after just 32 months of this, there were nine times more ungulates hanging around at a former dung heap than there were at a relatively poopless place. Where2Go is an online resource for consumers, reviewers, and affiliates seeking discounts and concessions on travel, hotels, resorts, merchandise, and services found worldwide. Get our latest news by email.